Alex Waldmann on the plays of David Storey and on juggling the roles of actor and producer. Three months ago, when I last chatted to Alex Waldmann, the actor was looking forward to starting a run of All’s Well That Ends Well alongside Hamlet and As You Like It in the Royal Shakespeare Theatre at Stratford, safe in the knowledge that he would be in employment for the near future. Once the company finishes its run in Newcastle in November, however, Waldmann will be joining the hordes of unemployed theatre professionals once again. That’s not to say he won’t be busy, however; a few years ago, he and his wife Amelia Sears set-up SEArED to produce “new writing and neglected classics” (though they “didn’t really know what that meant at the time”), which has in the past taken shows to Edinburgh and produced Dennis Potter’s Brimstone and Treacle with Homeland star Rupert Friend. This month they open with a revival of David Storey’s Home at the Arcola Theatre. 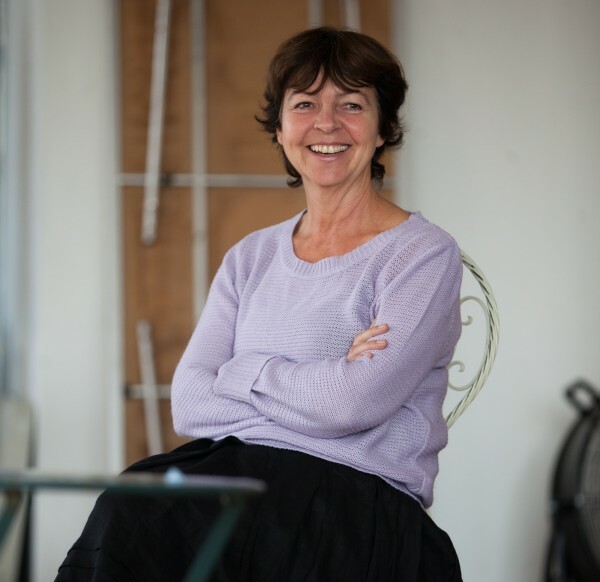 Tessa Peake-Jones in rehearsal for Home. They chose the play, Waldmann tells me, because “we were fascinated to see if in our desensitised, violence-exposed, media world it would still be shocking. But the other angle we were more interested in was xenophobia, insularity and fear of the other. Those attitudes in the seventies – when it was first written – actually didn’t seem so different to now. So in a time of economic crisis, when people are down in the dumps and their world is falling apart, we tend to scapegoat”. This “politically conscious” work (which, Waldmann concedes, is a bit of a misnomer as “any play that you put on which people come to watch live is ‘political’ in the broader sense”) continues this year with Storey’s 1970 work which, by situating itself in a mental asylum, tackles questions of mental health. These questions of audience and market potential are questions which need to be asked as a producer but have less importance when actively treading the boards. Interestingly, however, Waldmann suggests that acting and producing “feed into each other”: “When I’m working as a producer I probably have that actor’s mentality of ‘How do we treat people right?’, having been on the other side where things haven’t gone so well. And conversely, as an actor, I can’t help but think about the overall thing”. Ultimately, he and Sears have a dream of “running a building together”, so this somewhat radical idea of a ‘commercial’ producer (“there’s nothing commercial about it”) treating his actors – many of whom will be struggling to make a living – well ensures a contingency for the future. Home is at the Arcola Theatre from 23rd October 2013 – 23rd November 2013.